There are so many versions of this cake out there. You may even have your own version. But I happen to like my version. I LOVE mandarin oranges. I love pineapple….heartburn and all. Put them together…and you get THIS cake. OHHHH, this cake. It is definitely a very favorite cake of mine. Oh, and it works well in cupcakes too. It’s super moist……melts in your mouth. The frosting is incredible. I could just eat the frosting by itself. In fact, I have served the frosting as a dessert, scooped into some fancy serving dishes! 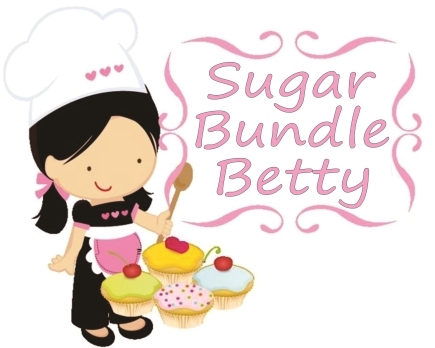 Now, I don’t like boxed cake mixes, but I will use it for this recipe. It works. So, grab a boxed mix, a can of pineapple, a can of mandarin oranges and a tub of cool whip. You are about to make something that you will want to make over and over again! Preheat oven to 350. Spray a 9×13 inch pan with non stick cooking spray. In a large bowl, mix together the cake mix, eggs, oil and mandarin oranges (with juice). Beat until smooth and pour into prepared pan. 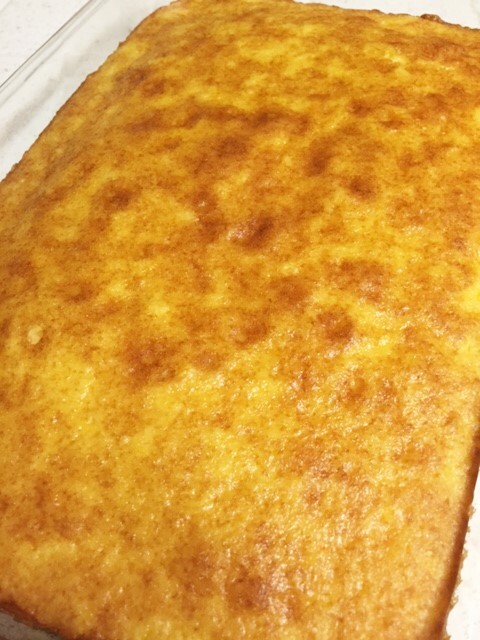 Bake for 30 minutes or until a toothpick inserted into the cake middle, comes out clean. Allow to cool completely. The topping: In a large bowl, beat together the Cool Whip, pineapple (with juice) and the dry pudding mix, until well blended. Eat a big ol spoonful and spread the rest on the cake. 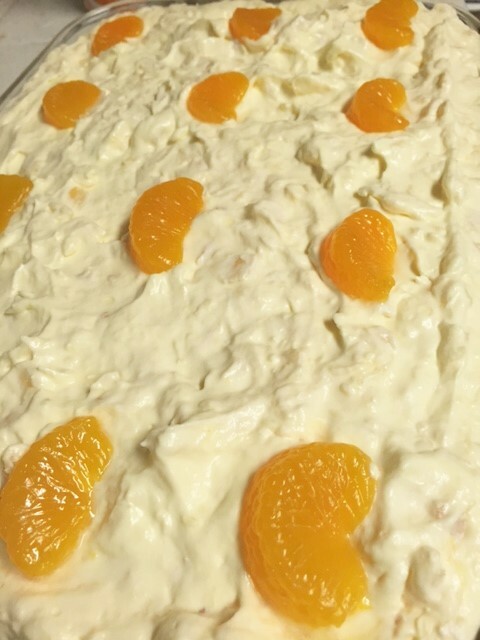 Instead of dumping in the can of mandarin oranges with the juice to the cake mix, I add the juice to the mix, but I break up the oranges into chunks and fold them into the cake batter after everything else is all mixed together. This way you actually get little bits of oranges that you can see in the cake. 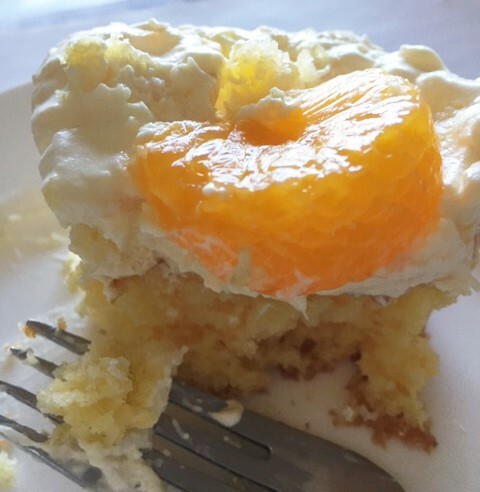 I also use another small can of mandarin oranges (drained) to top the cake with. My friend who makes this cake frequently advised me to use FRENCH VANILLA INSTANT PUDDING. She says it has a much better flavor than using regular vanilla instant pudding. Hi Eleanor, Ive tried it with French vanilla and with regular vanilla. I didnt see any difference since the pineapple is the main flavor. Both work! I need to make one of these cakes soon. Now I am craving it! Hi Harry, this cake is unbelievably good. I hope you like it!!!! !